Scrub was established in 2001, in a sleepy hollow in the South West of England. This hollow was to sleep no longer! It soon became the test area for the best selling Mountain board company - Scrub Mountain Boards. 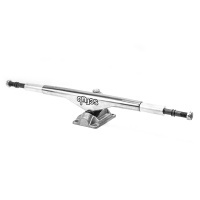 The simple skate truck from Scrub. Perfect for kiteboarding and mountainboarding. Two size of axle is nominally 10mm but actually 3/8in which is 9.52mm. 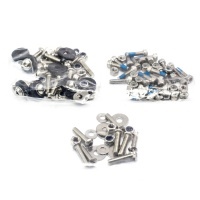 This kit replaces all the bolts and nuts with stainless steel hardware on your scrub channel truck mountainboard. If your bolts are a bit old and dead freshen them up!